Our mission is to empower purpose-driven people become financially independent and do what they were born to do. Maybe you have dreams and goals outside of what you do for a paycheck... Perhaps you earn plenty of money but you are looking for more time to pursue your dream without having to worry about how your bills will be paid. Maybe you would like to earn more while working less hours and have more time for other priorities... Don't worry, there is a better way! Congratulations on taking your 1st steps toward financial independence! Watch these 4 short videos (from left to right) to put you in the right mindset. Personal Development will help lay your mental foundation for success. 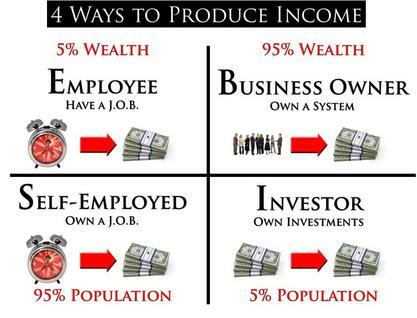 Remember that the key to wealth is the word leverage which requires systems & duplication... Enjoy! Our goal is to provide you with education, training, support, and a great vehicle to help you transition to the RIGHT side of Rich Dad's Cashflow Quadrant (above). 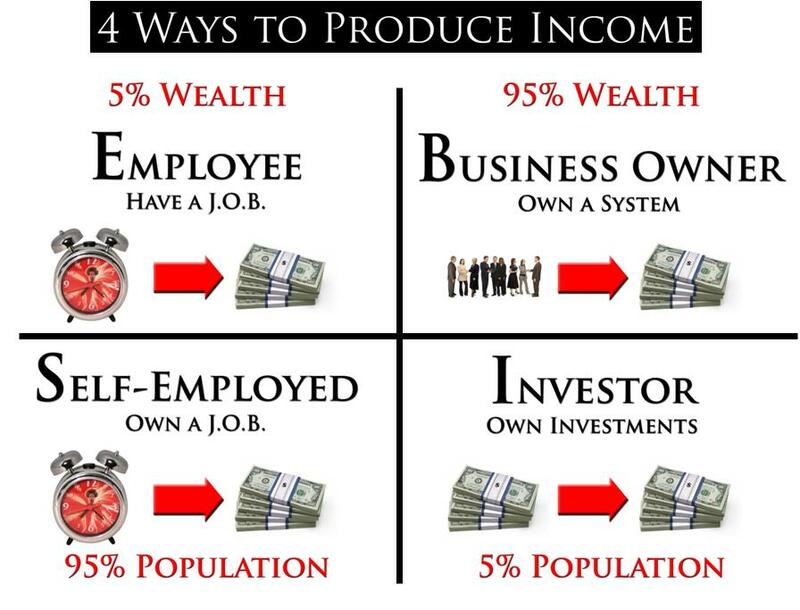 This is where you now own and operate a part-time system that you can grow to generate a part-time income, a full-time income, or create generational wealth for you and your family. *To learn more about the Platinum Success System, contact the person who referred you to this page. If you were not referred by someone you can contact us here.